I saw some of you talking about a rumor that Veronica Taylor was returning to the show in September on Mike's introduction thread and if you want to talk furthur on it, please do it on this thread, not on Mike's. EDIT: Searching the web, I have found no evidence that the episode will be called "Dustox in the Wind." The title is only a guess on the "Guess Anime dub titles" thread on the Serebii Forums. I think this is a great thread! Now, we can all discuss our opinions and thoughts on what might happen come the end of August and start of September. Theirs also alot of people commenting on her Guestbook thats shes returning so fingers crossed everyone or better yet POKEBALLS GO!!! Comments: I heard from one of my friends that you were returning to Pokemon, and we'll hear your voice once again as Ash... I couldn't believe it, so I asked him where he got from. He told me that he knew somebody else whose uncle works for DuArt, the company that produces the show. So I got to talk to this guy (his name is Adam W BTW) myself and he confirmed that Veronica Taylor was called in by DuArt a few weeks ago to start working on Pokemon once again. And we'll most likely hear her on the show once again in September. You REALLY REALLY deserve this. It will be so refreshing to hear your voice once again after two long years. It doesn't even seem like the new girl is even trying. It is also a shame they chose to replace you in the first place. But it is good to know that I'll hear your voice once more. Plus I hope to hear you as May as well in the next dozen episodes. Take care! This same message was later posted by someone else on Sarah Natochenny's MySpace, asking her to confirm/deconfirm it. She has not replied yet, though another poster said they were "pleased to see the rumor has blown over"
So in case anyone didn't know about this yet, that's the deal. I personally found out about it when someone posted it on the 'Ask Maddie Blaustein' thread on Serebii, asking her what she thought of it. Looks like we'll just have to wait and see. I really hope that she comes back. I edited my last post on the Mike thread... I really, really hope it's true. The fact that the supposed title is a guess one in a thread on Serebii, makes me worried, but duplicates have happened before. I would be happy knowing she's on the show at least, and work ourselves from there. Time will tell. I'm sure we'll get confirmation eventually. But until that happens, we should keep believing this rumor is true. Because if it IS true, that means we have accomplished one of our goals - to get Veronica back as Ash. By the way, if anyone wants me to post the emails that I received from Ryan and Jason, let me know. Also, if you would like to see the email that I received from Veronica, let me know. Could you post the emails please? Thanks. Also didn't you thank Veronica for emailing you saying she would indeed be voicing Ash on the guestbook? The actual dub titles are released two weeks before airing. Most of them aren't always correct with the guess/Japanese title. Well, no, that is not the only way the rumour is true. It just helps solidify the possibility that it is true. The people who told us that Veronica was returning told us she was returning in "Dustox in the Wind." Now do you see why it could help be a pretty solid confirmation? Also didn't you thank Veronica for emailing you saying she would indeed be voicing Ash on the guestbook? But hey, you have to keep in mind that I'm about 90% certain that this rumor is true. You see, all the evidence that I've received so far has led me to believe this rumor is indeed true. I mean, everything clearly points toward the rumor being true, because the story and information about how this actually happened - all of it sounds very possible and convincing. I'm not kidding you. And of course, given my optimism, I will continue to believe this rumor is actually true. Unless, at some point, evidence is found which proves it to be false (in which case, I will simply have to accept it and move on). By the way, I did send Veronica an email recently. But I haven't received a reply from her yet. I'm hoping that she will get back to me soon. Because I gave Veronica a link to the SOVA forums. So that way, she can register here and confirm/deny the rumor, once and for all. But, the email did have her aol address listed at the top. Sorry for the double-post guys. So You're the leader of the SOVA campaign that I heard so much about. I'm glad to finally get in touch with you. I see you noticed my entry in Veronica Taylor's guestbook. The person I talked to about her returning to the show was Adam Werenko. He said that he got his information from his Uncle Tim, who works for the company that produces Pokemon. Adam said that his uncle told him that Veronica has already done two episodes (I think it would be three now, since I talked to him about a week ago). I don't know which episodes, but I heard something about Chimchar. From this talk I had, Adam seemed 100% positive about this, so I believe it. My friend Jason (he's the one who got me in touch with Adam) is a big fan Eric Stuart and I'm sure he would love to join SOVA. I would join myself. But the site I'm looking at, every link I click on goes to either a closed club, or an inactive club. If you do know where SOVA is still active, please let me know. Me and Jason would love to join. Plus, maybe we can even get Adam join as well. Him having an uncle that works for the Pokemon studio could be a big help to SOVA. That said, please feel free to share this information with other members of SOVA, and I hope to hear from you more. Take care, and happy 4th of July. I'm Jason Thomasson, a friend of Ryan Morris. I just wanted to touch base with you since you had already talked with Ryan about Veronica Taylor. I think it would be good to tell you what I know, since I know much more than Ryan at this. I hear that he has been taking a lot of heat since the news of Veronica's return to Pokemon first became public. One person even sent him an email accusing him of lying just to get attention. But I can indeed confirm that news of Veronica returning to voice Ash is 100% true. I learned this from my friend Adam Werenko a few weeks ago. If that name sounds familiar, it's because his uncle Tim Werenko works for DuArt. When Adam was visiting his uncle Tim in New York, he went in to the workplace and verified firsthand that Veronica was working on Pokemon. It started when Adam saw someone he recognized in the hall of DuArt's premises. He knew it was Veronica because he had seen her before at Anime cons. So he asked his uncle Tim what she was doing here because he thought Veronica was no longer working on Pokemon. Tim explained that Sarah Natochenny, the voice of Ash Ketchum in 2006 up until very recently, had been fired for reasons he could not say. 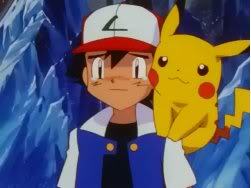 Then, after hard talks with Pokemon USA, everyone agreed to contact Ash's old voice actor to return on Pokemon. Veronica was so kind to accept and come in on such short notice. On that particular day, Veronica came in to do work on on her very first episode upon returning to Pokemon. It is titled "Dustox in the Wind." I hope this clears everything up for people who have questions. And good luck in your organization getting the others back too. Especially my favorite, Eric Stuart. WOW.....what can i say i could honestly cry tears of joy rite now if this is all true,been waiting 2 years for news like this!!!!! Make sure Jason and Ryan join up okay!! OH. MY. GAWD. 8D Is this true?! Honestly?! Veronica is coming back to Pokemon?! *High on happiness* Oh, I'm trembling now! x] I'll be able to watch my favorite show again! <3 Now we need the other VAs back! However, I have good reason to believe that Veronica is doing Ash's voice again, and that we'll be hearing her again in September (or rather, August 30th - since that is when the Dustox episode is airing). I have been doing pretty well. unfortunately, I still am having trouble with my email. I have been very busy lately, because as some may know, I have returned to voicing Ash Ketchum! It is all thanks to your amazing efforts! I can''t thank all of you in SOVA enough for what you have done! Please share my thanks with everyone that has worked so long and hard! I wouldn''t be Ash again without everyone in SOVA. I started recording as Ash a few weeks ago, the first of the episodes should be airing in September, so you will hear me as Ash again this September! I hope we both make it to NYAF, so I can thank you in person for always being my number 1 fan! Surely, if Veronica's been having trouble with her normal email account, then she would be forced to use some other email service (until she can fix her regular account). Also, it could simply be the fact that Veronica doesn't wanna change her current email address or get a second email address. And that would definitely explain why she would be using a site like willselfdestruct. Of course, the fact that she mentioned NYAF, that pretty much screams "Veronica" to me. XD And also, I love all the nice things she said about SOVA!! So when is the episode she makes her return to pokemon? Was it August 30th?? Apparently, the Dustox episode should be airing on August 30th. And that is, of course, provided that CN continues their schedule of airing 1 new Pokemon episode every Saturday. Well, personally, I think that most people in SOVA are half-believing it, and half-not believing it. This way, if the rumor turns out false, then they won't be hurt by it. Which actually, is a very smart thing to do. But, in my opinion, it doesn't seem likely that this rumor will be false though (but hey, I don't have a problem with people protecting themselves, in the event this rumor does turn out false). I completely agree with you! In fact, that's one of my favorite things about SOVA! In a way, SOVA is like our gift to the original cast, for the 8 wonderful years they brought the characters to life on Pokemon. And if (lol) this news is really true, it will mean that we've finally had a victory! Because we've finally achieved one of our goals! SUPER HAPPY!!! when i was reading the emails you posted i love how professionaly veronica accepted the role back, Shes alot like ash and didnt give up even after 2 years!